After spending his only season with RB Leipzig as an assistant, Jesse Marsch will now head to the big club in Austria as the boss. Jesse Marsch will take over the Austrian side as the boss. The news has come out on an early Monday Morning here on the east coast of the United States, but it’s probably been out a while in Eastern Europe, the man who took to heart the system that has been developing throughout all the clubs under the Red Bulls global brand has finally been given a huge task. 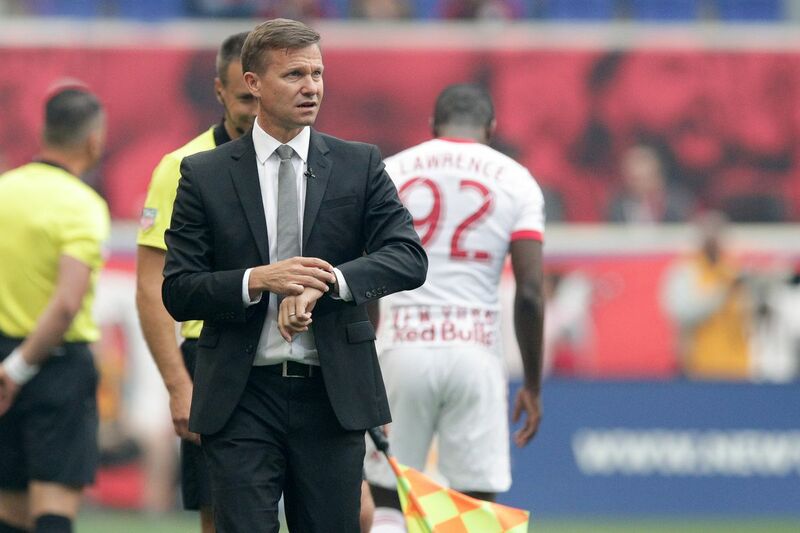 Former New york Red Bulls Head Coach Jesse Marsch will leave Red Bull Leipzig at the end of this German Bundesliga season, and will take over FC Red Bull Salzburg in the 2019-20 Austrian Budesliga season this coming summer. Marsch has signed a three year deal to take over the top side. From the website of Red Bull Salzburg, Jesse Marsch will be officially presented by the club, to the local media once the Red Bull Leipzig season is over, but you would have to say that this is a happy day for Jesse. He will be leading a club in Europe for the very first time. “We are delighted to have found a successor to Marco Rose very quickly, and to have gained clarity for the season ahead in good time.” said RB Salzburg Sporting Director Christoph Freund “Jesse Marsch is a coach who allows us to determinedly continue the path we have taken. When Jesse Marsch came back to MLS after a single season leading the Montreal Impact in their inaugural MLS season back in 2012, he would take over the Men’s soccer team at Princeton University, for two seasons till Ali Curtis called him in to take over back in 2015. In his three and a half seasons, Marsch compiled 76 Wins, -45 Losses, and 30 draws in 151 matches that gave the club their second Supporters Shield within three season & won coach of the year in 2015, got to the 2017 US Open Cup Final, but lost to Sporting Kansas City. “I am really pleased and feel honored to be able to work for this fantastic club as their next coach.” Said Marsch “I will give everything to further continue the extremely successful work here. If Jesse shows the same heart and passion at the New York Red Bulls as he will do so with Red Bull Salzburg, then there is no doubt in my mind he is going to be very successful, but he’s going to have to show that his knowledge of the Austrian Budesliga is going to be great. Which means during this coming summer, he is going to have to study all the different clubs in the Austrian top flight. At the moment he is currently with Red Bull Leipzig as an assistant with Ralf Rangnick and he is also mentoring his former RBNY Academy pupil Tyler Adams. But I would like to say congratulations to Jesse Marsch & good luck taking over the top club under the Red Bull Global Soccer Pyramid at Salzburg, as I believe he will be very successful as their new man. Red Bulls fall late, go winless in five straight. Sky Blue FC edged, 1-0, by Houston in home opener Goalkeeper Kailen Sheridan had a tremendous night, but it wasn’t enough to prevent the loss. Kaku hits rock bottom with infamous kick New York’s struggling creative enigma makes a brutal mistake.